Former Virginia Gov. Bob McDonnell spoke outside the Supreme Court in Washington, after the Supreme Court heard oral arguments in his corruption case in 2016. Since the U.S. Supreme Court vacated the conviction of former Virginia Gov. Robert F. McDonnell in 2016, just days after a federal jury in Philadelphia convicted then-U.S. Rep. Chaka Fattah, the legal landscape governing political bribery cases has shifted dramatically. The high court's decision raised the bar for prosecutors seeking to prove cases of political graft and has toppled a number of high-profile corruption convictions across the country. McDonnell, a Republican, had been accused of accepting more than $165,000 in purported bribes from the owner of a dietary supplement company in return for pushing state universities to conduct research studies that would help the company win FDA approval. But the Supreme Court held that federal bribery laws do not cover gifts exchanged for routine courtesies such as setting up meetings, hosting events, or making calls on behalf of constituents. 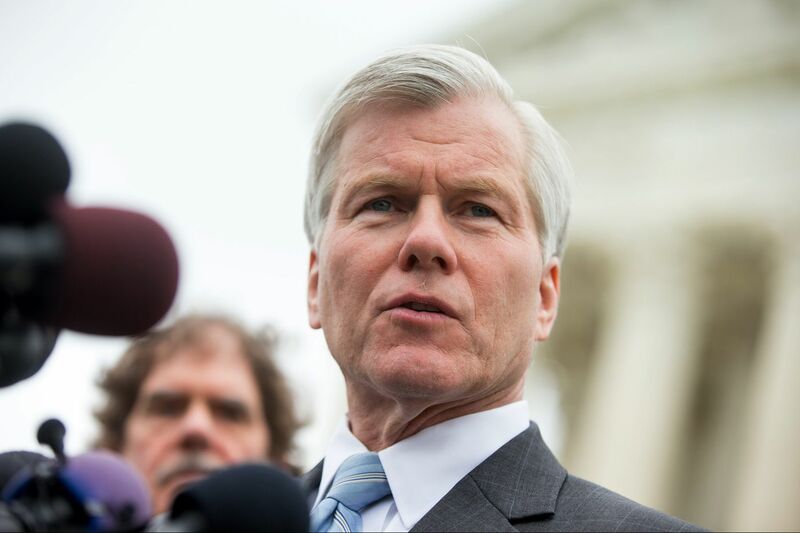 McDonnell's actions, the court ruled, although unseemly, did not constitute official acts in his role as governor. Since then, former New York Assembly Speaker Sheldon Silver and Dean Skelos, the New York state Senate's former majority leader, have successfully marshaled the ruling to overturn their bribery convictions. A federal judge also threw out convictions last year on seven of the 10 charges against former Louisiana Rep. William Jefferson, who kept in his freezer $90,000 cash intended as a bribe. In Fattah's case, the U.S. Court of Appeals for the Third Circuit concluded Thursday that evidence presented at the former congressman's trial would support a bribery conviction even under McDonnell's new stricter standard. However, the circuit judges overturned the guilty verdicts on those counts after concluding that the trial judge had not properly instructed jurors on the relevant law in a way that conformed to the new standards laid out by the Supreme Court. The U.S. Attorney's Office in Philadelphia has not said whether it intends to retry Fattah on those counts.